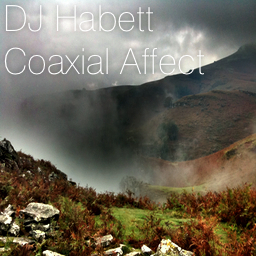 Dubbed as the shaded gray album though the artwork is misleading, "Coaxial Affect" is just a compilation of winter moods recorded in Paris. High on synthetic artefacts, DJ Habett tries to finally put down to tape signals that have been around in his head for months without finding the right context to deliver them. As a matter of fact, it might as well be the missing link between the so many albums he produced in 2010. As the track goes, this album requires the lost art of waiting (from the listener) but still is consistent and epic. Remember: God is in the details.